Until the latter part of the 20th Century Burpham & Wepham had many skilled workers living and working in the area. A brief glimpse of the last available census (1911) shows the village having Blacksmiths, Wheelwrights & Carpenters in abundance. The Budds who ran the village smithy had a prolific family and almost all the boys followed in there fathers footsteps. There were numerous shepherds resident which is not surprising seeing the huge number of sheep on the estates. Almost every man who wasn't living on private income worked on the land. The census shows men putting down there profession as Drover, Cowman or the more common, Farm Labourer. Farming was a labour intensive profession that the whole family worked a, either full time as a supporting trade. Many of the men were multi-skilled and likely did more than one job to earn enough money to support a large family. 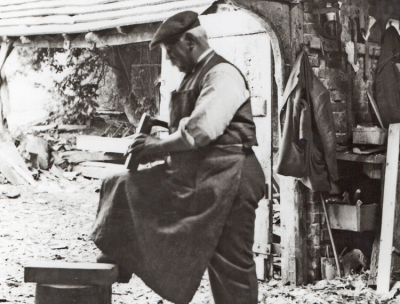 Mr Goodyer the village wheelwright was employed both as a carpenter and undertaker, laying out the poorer parishioners as well as making the coffins. Many of the women also multi tasked, running a large household, helping on the land and often working as maids or kitchen staff for wealthy locals. As farming changed and the blacksmiths and wheelwrights traditional business withered away, new work was needed. 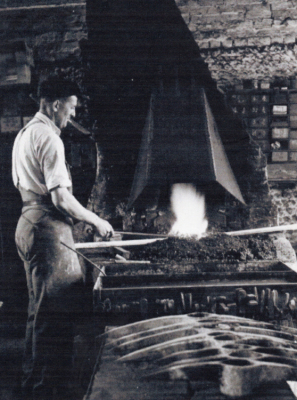 The blacksmiths turned there skills onto projects such as ornamental wrought iron work. Jean Foster, whose father was Ted Agate the last village blacksmiths remembers her father making the ornate gates now found by the St Marys Tavern in Arundel, featuring the initials of the publican and his wife. Good business as it turned out, as the Publican often changed his wife and required Ted to amend the gates! Today all have gone. The Farrier finally closed in the 1990's. 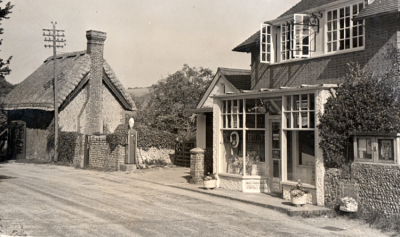 The Village Shop so wonderfully run by Mr Roadnight in its earlier days finally closed in 1989, another victim of the changing face of retail and the decline in the numbers of villagers.